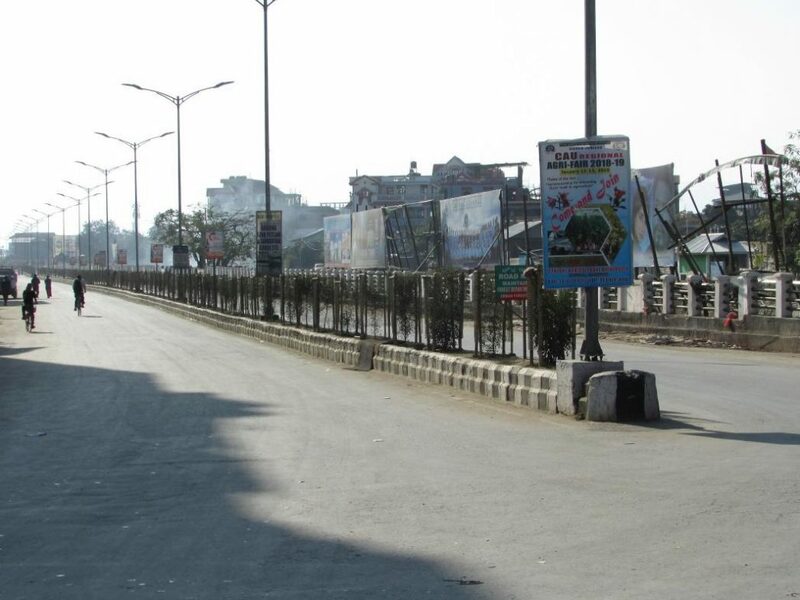 A deserted Imphal road during the general strike against Citizenship (Amendment) Bill 2016 on Thursday. Image: Northeast Now. Normal life has been paralysed in Manipur on Thursday due to 24-hour general strike called to oppose the Citizenship (Amendment) Bill. The strike will end on January 31 midnight. The general strike was called under the banner of Manipur People Against Citizenship Amendment Bill (MANPAC), a newly formed common platform of around 72 civil society organisations operating both in the hills and valley of the state. With the support of various communities besides the major students’ and womenfolk’s organisations in the State, the general strike was effective in greater Imphal area and other districts as supporters comprising both men and women came out to enforce the bandh in most of the roads including the inter-locality roads. In some routes such as the one leading to airport in Imphal was blocked by the women folks of various localities by sitting over the road. The representatives of nine political parties including state units of CPI,CPI(M), RSP, Forward block, NCP,AAP, BSP, JD(S)and PRJA also took out a protest rally in Imphal during the strike to support the general strike. Otherwise the roads in the greater Imphal area wore a desolate look since early morning after transport services including inter-district and inter–state services were suspended for the day while the business and market places remained closed for the day. Most of the government and private offices, besides educational institutions, shops and business establishments, also remained closed during the general strike. Though the strike could not affect the functioning of the Imphal International Airport, the passengers coming out of the airport faced a hardship due to unavailability of the cab services and other transport services. Over and above the enforcement of the strike, most of the localities in greater Imphal area also staged sit-in demonstration against the proposed amendment to Citizenship Bill. The Bill which was passed in Lok Sabha on January 8 but pending in Rajya Sabha, would pave the way for citizenship to migrants from six religious minority communities including Parsis, Jains, Buddhists, Christians, Sikhs and Hindus who fled to India to escape religious persecution in Afghanistan, Pakistan and Bangladesh.